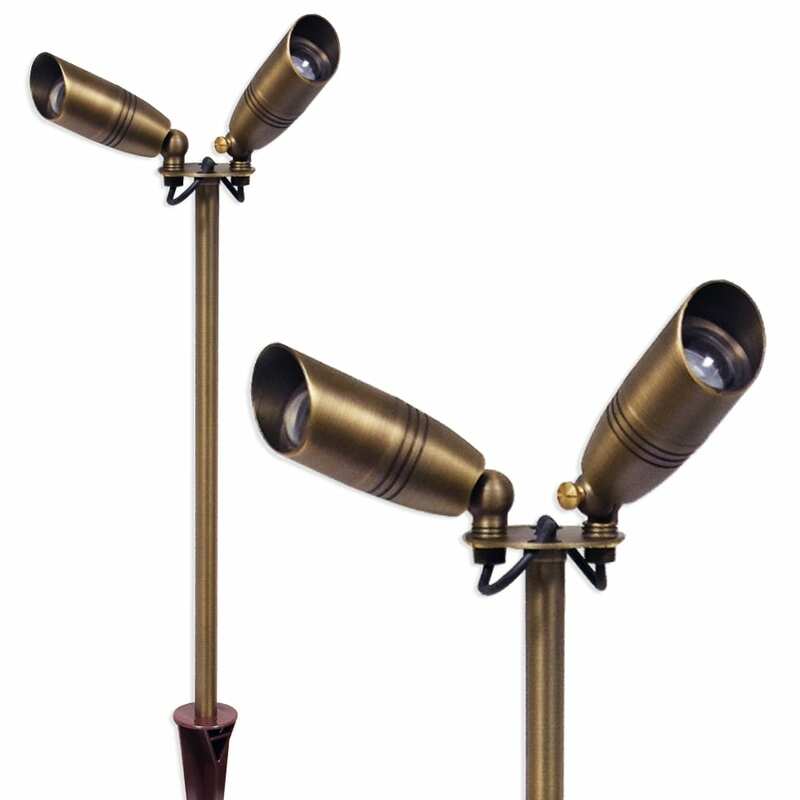 The Charleston Carousel adjustable spotlight kit is a progression from standard garden spikelights. The Carousel mounting ‘wheel’ design, allows a total of four spotlights to be fixed. This means multi-directional lighting effects can easily be acheived. 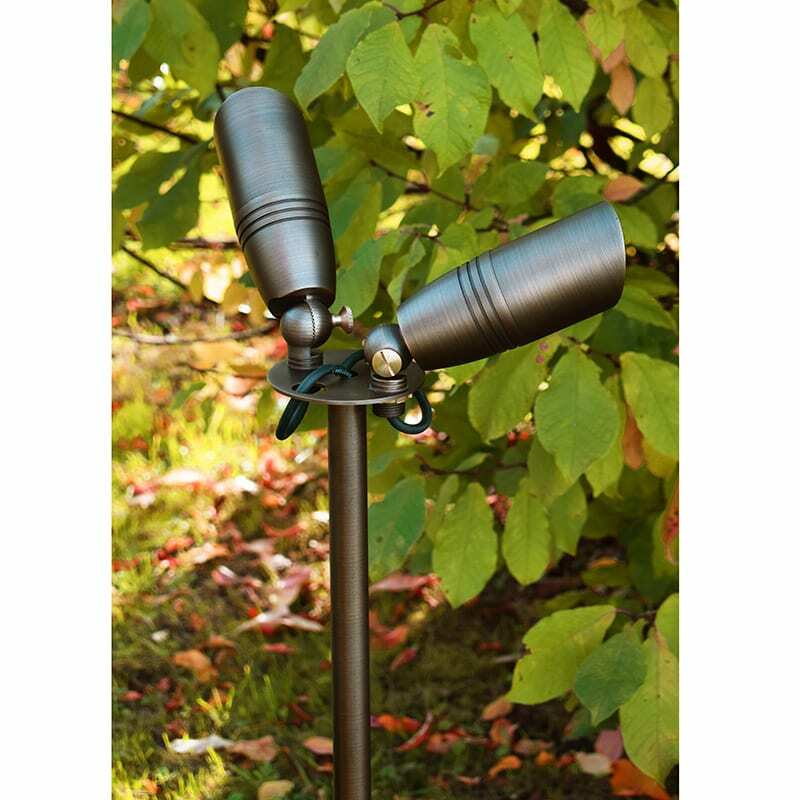 The kit contains a robust 600mm riser pole with a large polycarbonate ground spike. The threaded carousel mount supplied, screws onto the top of the pole. The two adjustable Director spotlights then fix to the mount. 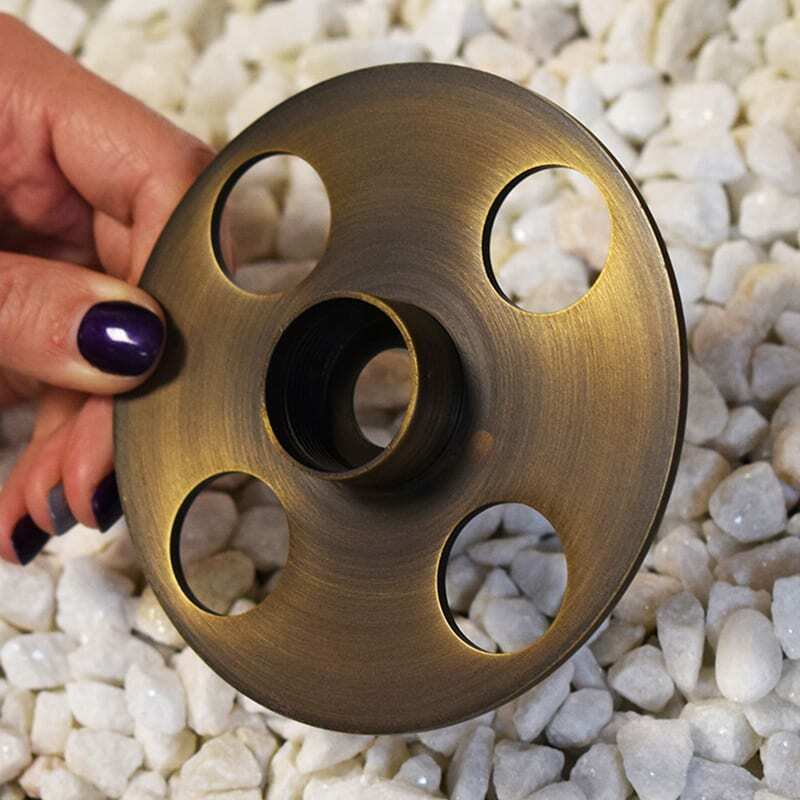 Two brass star-lock washers are supplied to fasten the spotlights to the ‘wheel’. 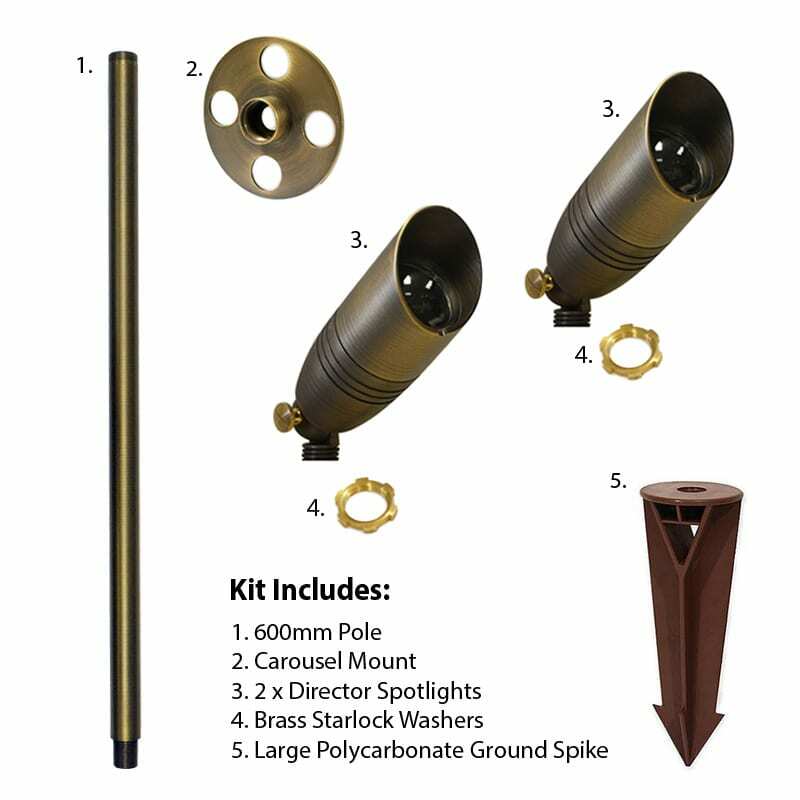 The kit contains a robust 600mm riser pole with a large polycarbonate ground spike. The threaded carousel mount supplied, screws onto the top of the pole. The two adjustable Director spotlights then fix to the mount. The supplied brass star-lock washers fasten the spotlights to the ‘wheel’. 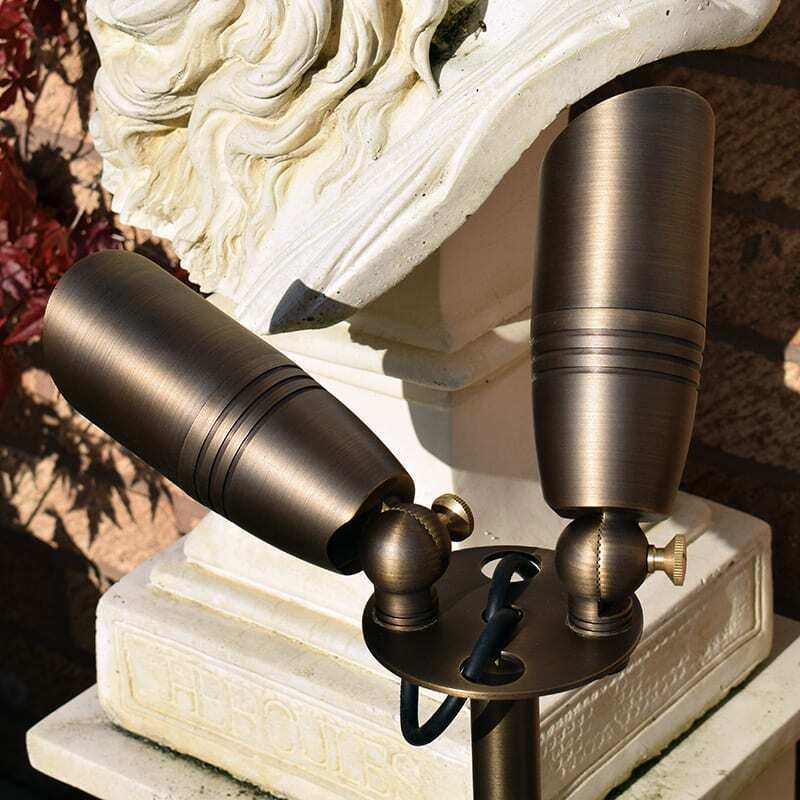 Solid Brass is a highly durable material, ideal for outdoor lights. 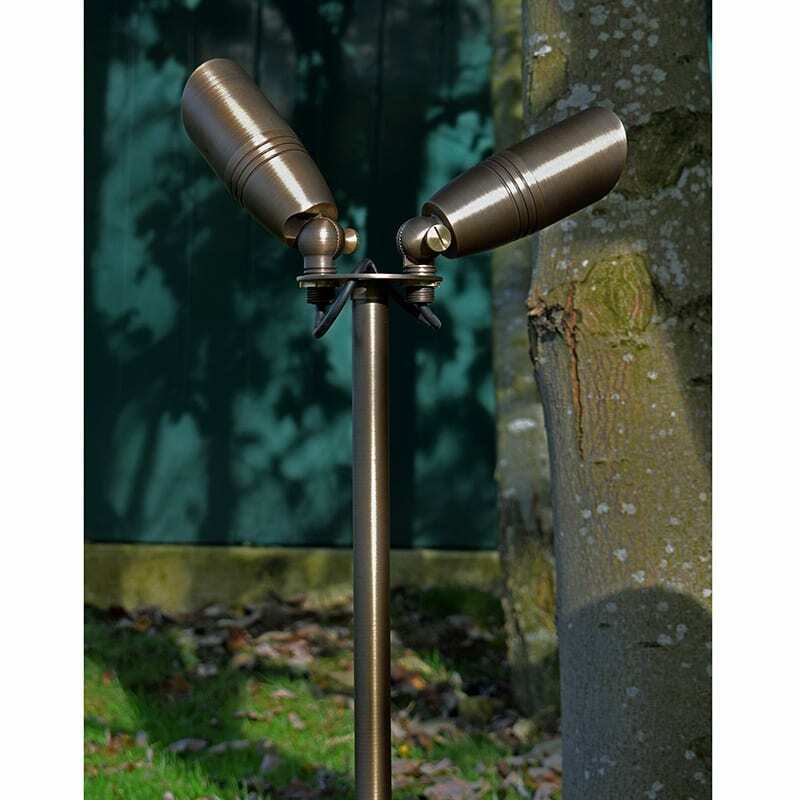 The elegant rustic bronze finish looks fantastic in garden settings. 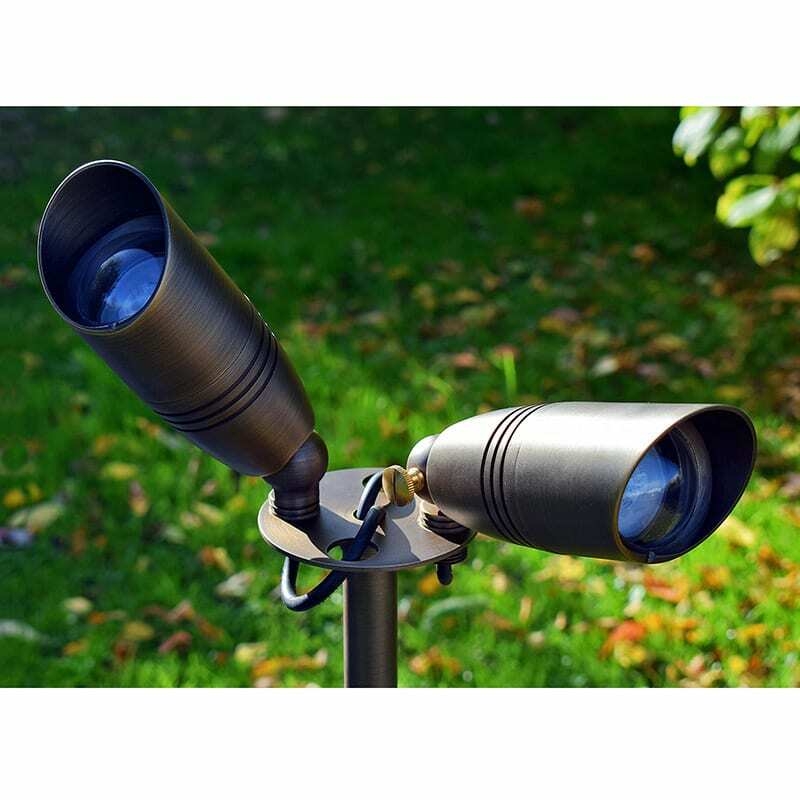 The adjustable spotlights can be angled easily in various positions up to 180° by a serrated clamp joint. 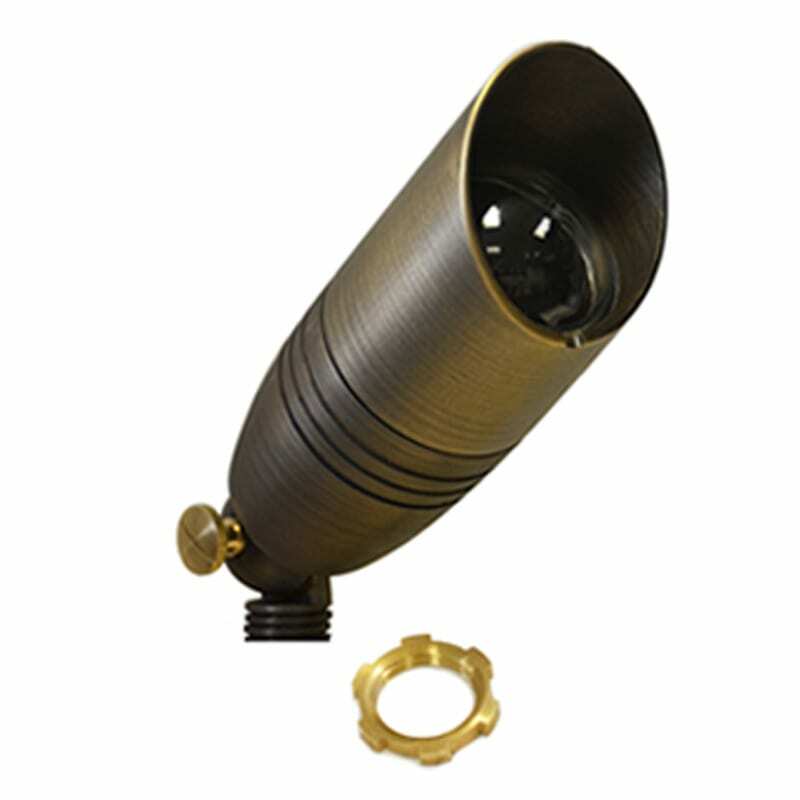 The tubular body, convex lens and integrated glare shield shine light in a narrow, concentrated beam, ideal for illuminating individual focal points. 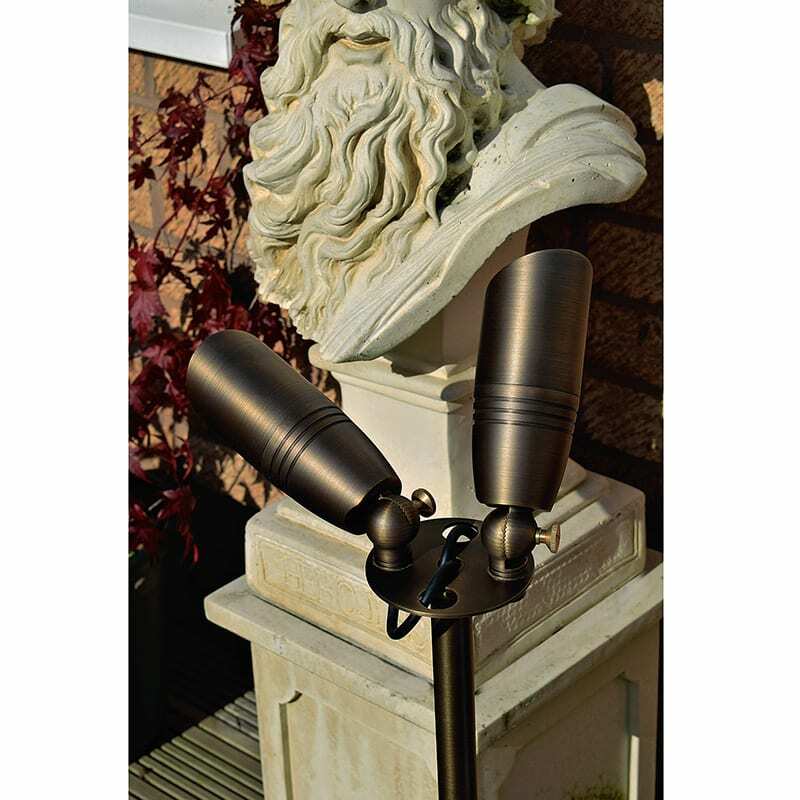 This classic, 12v bronze garden spike light takes an MR16 bulb, which is easily installed and replaced. To remove the main body twist anti-clockwise to release, and replace and twist clockwise to secure. This simple method means no external screws are required which not only makes maintenance easier, it also adds to the streamline and classic design quality. Lumena recommend the use of a 12 volt LED MR16 which has a longer life span, and uses less energy compared to halogen MR16s. Copper Grease is recommended to facilitate the removal of the main body of all Charleston Cobra Spot Lights when changing lamps.